1 THE BOUNCE For ANYONE who wants to Rebound, the BOUNCE is THE MOST important factor. A good bounce needs to be buoyant- and not too hard or soft. If it’s too hard it will be jarring on your joints, bones and nerves. This is not the most pleasant feeling and you won’t want, or be able to, do many moves because it will feel uncomfortable, or even painful, especially if you bounce for longer than a few minutes. If it’s too soft your bounce will slow down and toning or cardio moves will become a drag. The lymph benefit can also decrease because you need that gentle “snap back” off the mat to open and shut your lymph valves effectively. It can be difficult to judge a bounce if you’re not used to it – or if you don’t have a few to compare because any bouncy surface (even an old mattress) can feel better than a hard floor. At ReboundSA we take the guessing out of it because we’re considered “Bounce Connoisseurs”: after 10 years of trying out and bounce testing hundreds of units, we can sniff out (or rather feel) all underlying subtleties, from spring coil tension, flow, snap, balance, pronation’s etc. 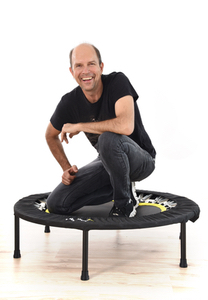 – and we only stock and supply rebounders with the VERY BEST BOUNCE. 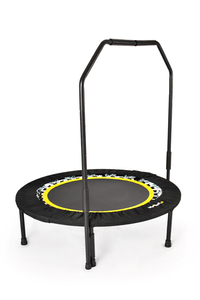 2 QUALITY Our rebounders are manufactured by a factory that makes some of the best high end units in the world! 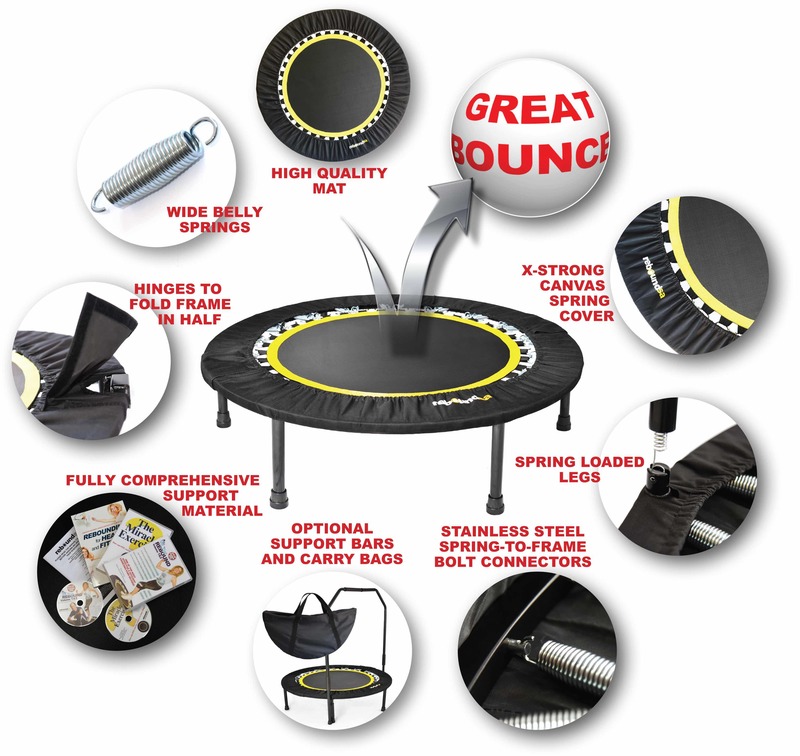 4 SAFETY and GUIDANCE & SUPPORTOptional Support Bars, bright yellow mat edge indicator, fully comprehensive user’s manual for set-up, safety, tips, advice, how to bounce, maintenance etc, “Miracle Exercise? 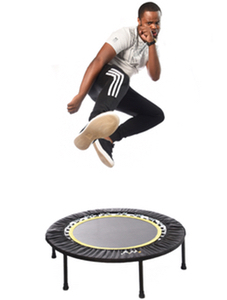 DVD and optional book, you can contact us directly during office hours by phone, messaging or email, If you’re in the JHB area you can pop in for a quick demo or discuss any thoughts, issues, ideas about rebounding, and we offer regular free talks, demonstrations and opt-in email updates. 5 REPUTATION & CUSTOMER CAREReboundSA was established in 2007 and the majority of our sales are through word of mouth! We are acutely aware of the importance of our good reputation and take great care to keep it that way. 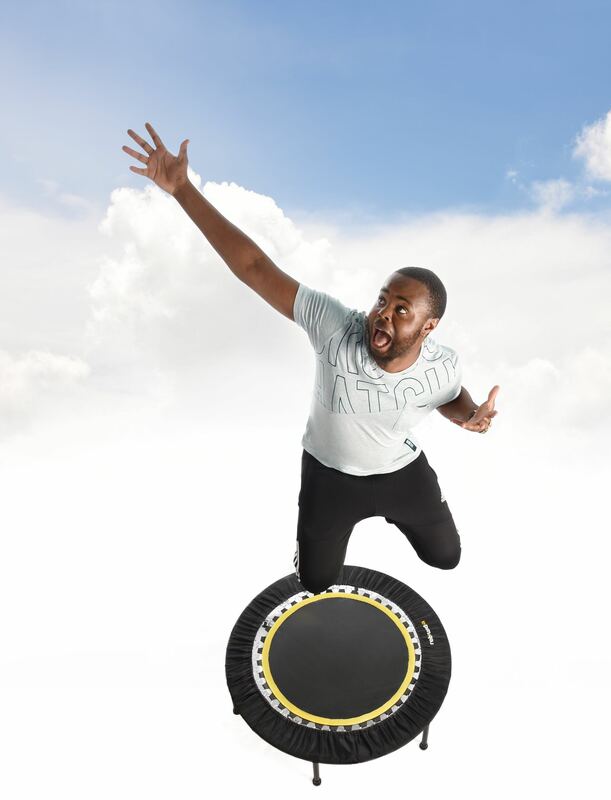 Every one of our clients, from individuals who purchase 1 Rebounder, to gyms and corporates who purchase 100’s are special to us – and we continue to have excellent working relationships with gyms, therapists, trainers and individuals who became clients 10 years ago. We also carry all spare parts and continue to update our client service policies to include any changing or special needs. 6SA’S LEADING EXPERTSWe have been rebounding professionally for 15 years and feel confident in the fact that our knowledge on rebounding is unprecedented in SA. Our books and DVD’s are exported throughout Southern Africa and internationally – and our advice constantly asked for to ensure magazine and press articles include the correct information. We also advise medical, therapeutic, fitness and weight loss professionals on the protocol of rebounding for their specific needs. Just a note to say thanks for all the wonderful work that you do with integrity and sincerity. You are so knowledgeable and humble. I read this in some book some time back – ‘Lord, transform the poverty of my nature by the richness of your love’, this reminds me of you guys, constantly learning and sharing.